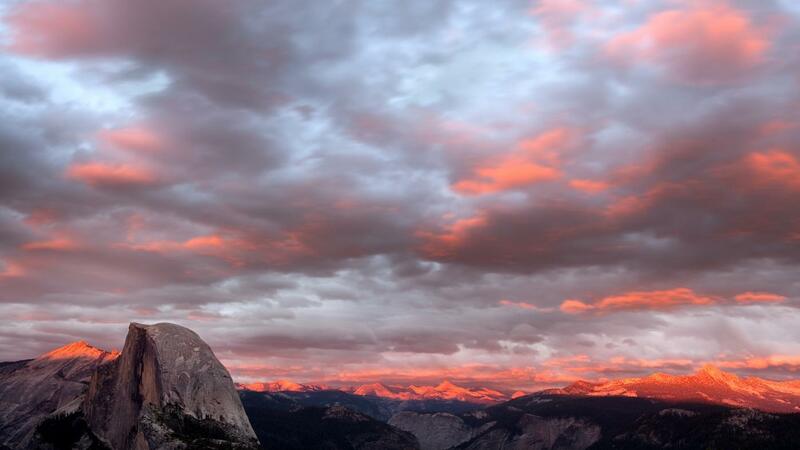 Yosemite National Park is 195 miles from San Francisco, California. It takes 4 to 5 hours to make the journey by car, with routes to the park beginning at I-580 East or Highway 140. Yosemite National Park is almost due east of the city of San Francisco. One route takes travelers through the town of Manteca by following I-580 East to I-205 East and finally to Highway 120 East. The second option is to follow Highway 140 east through Merced. The National Park Service warns that GPS units do not always provide accurate directions to or within Yosemite, as the park covers 1,200 square miles and does not have a single address. What Are Some Four-Star Hotels in San Francisco? What Is the Tallest Waterfall in Yosemite? Which Waterfall in Yosemite Occasionally Appears to Be on Fire? What Is Yosemite's "sister Park"?